When creating an education wordpress theme, we kept in mind that it had to be engaging and versatile. Also it should be stylish and contemporary, fresh and clean. 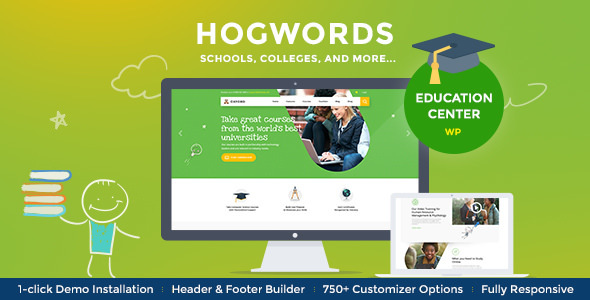 Thus, we’ve created Hogwords with its highly pleasing modern template design. It is suitable for a college, school, and any type of training and remote educational courses, bureau or company. The theme ensures the possibility of building both offline and online educational establishments, so that learning and teaching are available no matter where you’re located.